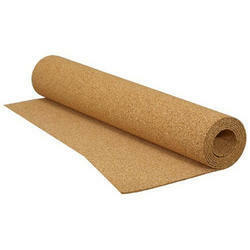 Leading Manufacturer of cork roll and rubber cork roll from Delhi. 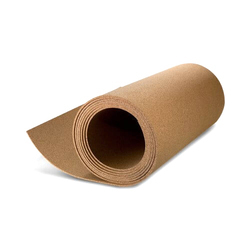 Mat Size 24" x 48"
We are actively engaged in offering an extensive range of Cork Roll for catering the diversified requirements of our clients. We are supplying cork roll as per clients specification and requirements in different grades & thickness. These Cork sheets are used in automobile industry for making clutch plates. This has a wide usage in making PP Cap Wads, Models, Shoe Soles, Sports Goods and so many other uses. Being a leader in the industry, we are engaged in providing a premium quality array of Rubber Cork Roll.